We’d love your help. Let us know what’s wrong with this preview of Quantum Theology by Diarmuid O'Murchu. To ask other readers questions about Quantum Theology, please sign up. Building on the concept of entanglement (“A manifestation of one quantum object, caused by our observation, simultaneously influences its correlated twin object—no matter how far apart they are--quantum action at a distance. (p. 29)), O’Murchu argues that the nature of reality demands “relationships” as opposed to causality (p. 36) and opens one up to a necessary “mystical receptivity.” (p. 38) He warns that the parameters of scientific observation may actually end up falsifying rather than verifying truth (p. 34). Theologically, the book takes an interesting path in this section. “There is a paradoxical quality to black holes, whereby their destructive power of absorption seems to be a precondition for their life-giving power of ‘evaporation.’ …Perhaps here we have on a grand cosmic scale an insight known to mystics for centuries: abnegation is a precondition for fulfillment; struggle is a pathway to happiness; sickness is the shadow side of health; failure is success in disguise; Calvary precedes resurrection; darkness gives way to light.” (p. 135) Much like the Apostle Paul in Colossians, O’Murchu recognizes that there is no “newness” without a painful termination of the old (p. 141). Unfortunately, in seeking this “newness,” O’Murchu goes rather too far in his abnegation of the individual and defining individualism as always being part of the tyranny of power. He seems so optimistic about the eventual triumph of goodness in the universe; why isn’t he convinced of the ability for human individuals to change within those relationships held to be so important? That’s my problem with the direction of this book which holds so many great insights. For me, Quantum Theology goes off the rails a this point. It is possible to become so syncretistic that there is no real distinction between any religions and so focused on “totality” that there is no longer any significance to an individual’s decisions. True, the neglect of relationship and identification with the universal “morphogenetic field” leads to a self-determination that can become self-diminution (p. 151), but does it have to do so? Isn’t there a balance between the search for enlightenment and light within this “field” and some sense of personal accountability and responsibility? I like O’Murchu’s concept of sound as a metaphor for cosmic origins and light as a metaphor for ultimate destiny (p. 171), but doesn’t he realize that even light can be refracted and distorted? He states that only fundamentalists believe in a literal “end of the world” (p. 183), but doesn’t consider that there could be such a, pardon the expression, fundamental change that even if the universe continues, it might not be relevant to the type of life to which he is writing. I guess I’m just fundamentalist enough to believe that the “new heaven” and “new earth” could share some of the “morphogenetic field” of which O’Murchu speaks without being locked into the idea that world must continue as per our current experience or understanding. O’Murchu seems to expect some kind of evolutionary change which precludes a continuation of identity—not really taking into consideration his own science of “action-at-a-distance” where two particles, separated in space-time act the same when affected by a field of circumstances/observation. Although the conclusion of this theology is about the need for love and follows Sally McFague’s idea of Trinity as Mother (Parent?) [agape—giving love], Lover [eros—relational/healing love], and Friend [philia—covenant, faithful, sustaining love] (p. 205), I felt like the strongest idea was his comparison (as with Teilhard de Chardin) of love as being like a fire “…with the paradoxical combination of warmth, tenderness, care, and closeness, on the one hand, and an enormous power for destructibility, on the other.” (p. 200) With all of his discussion of love, this book needed a little more talk about the danger of love contaminated by the self-determination of individuals seeking their own power and gratification in the name of love. I believe that the relationship between science and theology needed to brought to the fore front of conversations. We spend lots of time trying to make sense of the both. Now for those who are new to the Idea of the special relationship, this combo can be a bit unnerving and feel that the purity of history of belief is tarnished, but I can say from personal experience and intuitiveness the topics are twins just realizing they have the common mother. We have an opportunity in this life time to gi I believe that the relationship between science and theology needed to brought to the fore front of conversations. We spend lots of time trying to make sense of the both. Now for those who are new to the Idea of the special relationship, this combo can be a bit unnerving and feel that the purity of history of belief is tarnished, but I can say from personal experience and intuitiveness the topics are twins just realizing they have the common mother. We have an opportunity in this life time to give witness to the unique special entanglement as it unfold before our eyes. The book seems to be written more for the benefit of readers with a theology background than anyone else. Anyone who has studied science beyond high school cannot avoid the beauty, mystery and majesty of the world around us. For those of us who have some understanding of science and also seek God, our perception of God is primarily shaped by our understanding of creation. As modern science moves forward, it points to a increasingly awesome God. 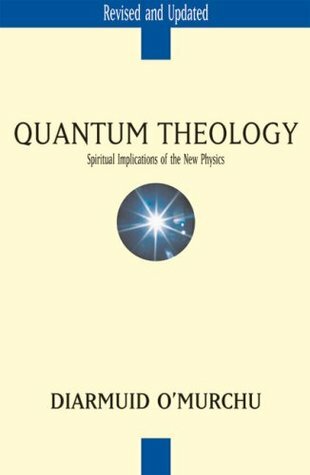 O'Murchu's focus on "Quantum Theory" is annoying, be The book seems to be written more for the benefit of readers with a theology background than anyone else. Anyone who has studied science beyond high school cannot avoid the beauty, mystery and majesty of the world around us. For those of us who have some understanding of science and also seek God, our perception of God is primarily shaped by our understanding of creation. As modern science moves forward, it points to a increasingly awesome God. This is a great book that addresses how science, specifically quantum physics can and should impact one's spirituality. Understanding we are part of an infinite cosmos can certainly broaden one's understanding of who God is and the impact it has on one's response to that understanding. There were a few points I would disagree, but being open to the dialogue is what is important ~ there is always room to learn and grow in understanding. Everything Father Diarmuid writes is a struggle for me to comprehend but the end result is one where I feel enhanced by a greater understanding of what God has done in His creative work. I love this book. An accessible insight intoa deep and powerful concept of spirituality. India, Peru and in several African countries, facilitating programmes on Adult Faith Development. His best known books include Quantum Theology (1996 - revised in 2004), Reclaiming Spirituality (1998), Evolutionary Faith (2002), Catching Up with Jesus (2005), The Transformation of Desire (2007), Ancestral Grace (2008), Jesus in the Power of Poetry (2009).